To Take Washington is a new Line of Battle (LoB) series game covering Jubal Early’s campaign during the summer of 1864. From June into July, Old Jube swept out of the Shenandoah Valley and across the Potomac River to advance on Washington DC. By threatening the Federal capital, Early and the Confederate command hoped to divert forces from Grant’s Overland Campaign, relieving the pressure on Richmond. Historically, Early narrowly defeated Lew Wallace on the Monocacy River, outside of Frederick, MD. However, this ‘victory’ cost him precious time and manpower. Though he went on to test the outer forts protecting Washington itself (mainly at Fort Stevens), Early was too weak and too late to take advantage of the once-denuded nature of the fortress garrisons. 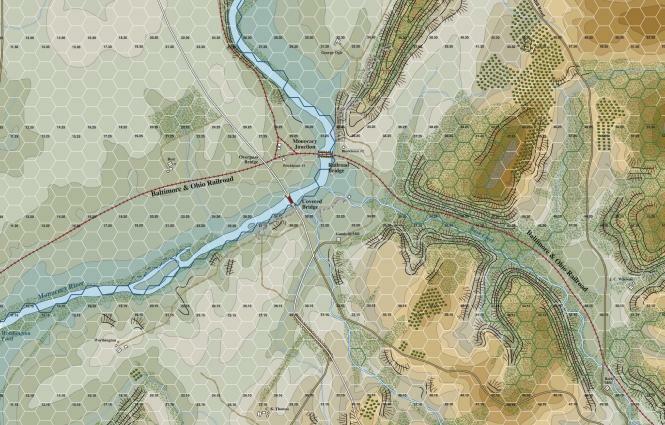 In To Take Washington, players first fight the Battle of Monocacy. Their relative success or failure there, as well as their raw efficiency, determines when the Confederates show up on the separate Fort Stevens map. An arrival mere hours earlier than their historical appearance makes an enormous difference in the strength of Union forces manning the defenses, since they had been stripped bare prior to Early’s advance. Conversely, a mediocre showing at Monocacy will present the Confederate player with a very difficult problem at Fort Stevens. Jubal Early couldn’t solve it – can you? To Take Washington covers these two related actions on two separate map areas. One (with two map sheets) covers the Monocacy battlefield while the other (with one map sheet) shows the area around Fort Stevens and a portion of Washington itself. The Line of Battle series premiered with None But Heroes, covering the Battle of Antietam, and went on to set a new standard of excellence with its presentation of Gettysburg in Last Chance for Victory. 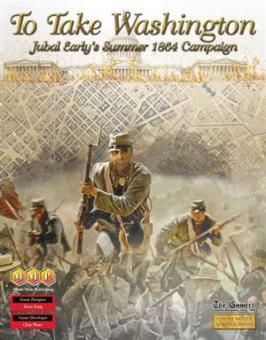 The LoB series rules are the pinnacle of over 30 years of development starting with the Civil War Brigade Series and its follow-on Regimental Sub-Series. 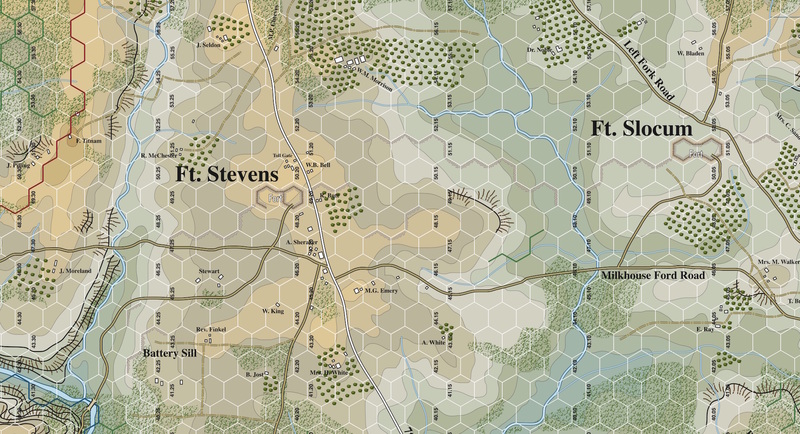 The LoB system and battle-specific rules incorporate fresh research while discarding the mistaken assumptions and false impressions that have crept into ACW games of the past forty years. Above all, Line of Battle is designed to capture the free-for-all nature of an American Civil War battle in a fun, fast, and very playable format. 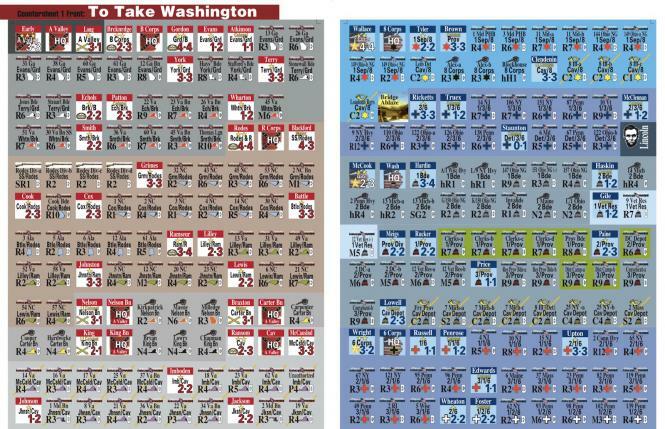 Scenarios: To Take Washington includes twelve scenarios, with one entry point for the full two-battle Campaign Game. Ten of the scenarios use only one map (either a portion of the Monocacy map set, or the single Fort Stevens map).